Those of us who write know it can be a solitary endeavor. I have friends who write in mini vans, at hockey rinks, on the beach. I can’t even sit in my own backyard and write. Ooh, look! A bunny! For me, it’s as much about the process as the inspiration. I need quiet to have thoughts filter in and through me to the page, but I also need privacy to 1) read aloud, 2) act out what I’m writing (watch out, as I will swat you if you happen to be nearby), and 3) alleviate the lure of distractions. Today, I hope you’ll take time away from your writing to read Alyson’s Richman’s thoughts on solitude and writing. With five historical novels to her name, Alyson knows what works for her. So, tell us. What works for you? 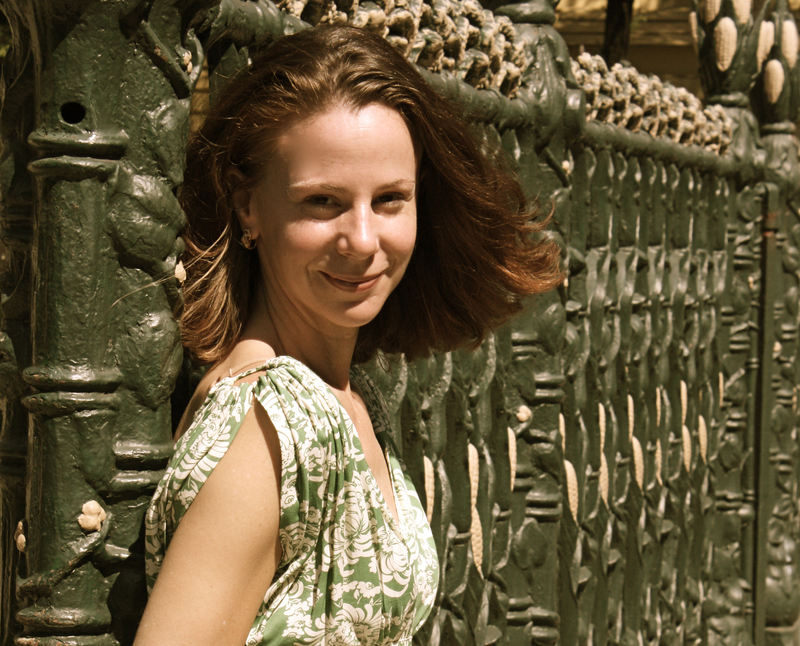 And please welcome Alyson Richman to Women’s Fiction Writers. I have been on tour now for the past month promoting my latest novel, “The Garden of Letters”, which is about a young cellist who sends coded messages through her music for the Italian Resistance during WWII. While it’s been wonderful to connect with my readers and to do several panels with fellow authors whom I admire greatly, this is the first time in years that I’ve taken such an extended break from my writing. I have always been a creature of solitude. I love the quiet cocoon of my office, where I can dream in private. I love the glow from my computer as the words in my sentences appear and lengthen, as though I’m creating my own string of pearls. I began publishing nearly straight out of college. I was an Art History major at Wellesley College, where my professors often told me I had a talent for telling “the story behind the painting.” I loved exploring not only the subject of the painting, but the artist who created it and the time period in which it was made. I enjoyed examining the psychological relationship between artist and muse, and mining for symbolism within the images rendered on the canvas. I had lived for a year in Japan with my family when I was a teenager. Hoping to learn more about Japanese culture, I spent my Junior year abroad in Kyoto as an apprentice to a Noh mask carver. It took me nearly a year to carve a single mask out of a block of cypress wood. Every afternoon, I carved with three other Japanese students, learning the ancient techniques of recreating a mask whose spirit was supposed to first be infused by the carver and then later released onto the stage by the actor who wore it. When I returned to Wellesley for my senior year, and with my graduation looming, many people began to ask me what career I was going to pursue with my Art History degree. I now suspect many people close to me were not sure I’d find too many career options to choose from. At that crossroads, I realized what I’d love to do most would to be write stories about artists and their process of creating. I remember thinking when I was studying in Kyoto, here I was, a Western woman studying a traditional Japanese art form. I asked myself, when did the reverse first occur? When did Japanese artists start studying Western-style art? When I asked my art-history professors upon my return to Wellesley, no one knew the answer. I immediately thought this would be wonderful backdrop for a novel. I then applied for a grant upon my graduation, which enabled me to research the initial Japanese artists who left there at the end of the Nineteenth century to study painting under the French Impressionists. It was during that post-graduation year that I began writing my first novel “The Mask Carver’s Son”, which is about the son of a Japanese mask carver who forsakes his family’s artistic traditions to study art in turn-of-the-century Paris. I’ve seen so much change in the landscape of publishing since that novel was published nearly fifteen years ago. Back in 2000 when “The Mask Carver’s Son” was first published, when the publisher told the author they hoped your novel would find its readership through “word of mouth” or “grass roots”, it was an implicit message that they had no plans to actively boost the publicity for your novel with a costly print advertising campaign or national tour. If my novel was going to reach readers, it was going to be a long shot, and I had to hope that a wonderful support network of friends, librarians, and independent booksellers would recommend or hand sell my work. The subsequent advent of social media helped writers like myself in many ways. When my fourth novel, “The Lost Wife”, came out in 2011, the publisher also had little plans for a tour or a traditional media campaign. Instead, they sent several advance reader copies to bloggers around the country, who helped spread the word about the novel in addition to the wonderful team of librarians and independent booksellers who are always essential in connecting books with readers. As a result, word of mouth springing from the internet became a more powerful tool for selling books than I could have ever imagined. That said, I’m one of those authors that when aspiring writers ask me how I feel about social networking, I tell them I need to “turn off the noise” when I write. I have an office that has no internet. I write without music in the background, and never when my children are in the house. I need to be in a place where I can see my characters clearly and hear them speak without distraction. I believe that when I’m writing, I’m much like those artists I love to write about, writing and rewriting until the finished product glimmers as I always pictured in my head it would. I believe in the slowness of the process, and the respect for the written word. My mother was a painter, who taught me to see the world through an artistic lens, and to appreciate color and texture, light, and shadow, and the importance of respecting positive space. Like a painter, I believe my sentences are brushstrokes that lead the reader through my story and create a world in which you can see with great vividness. So soon, once I’ve finished traveling the book tour circuit, I’ll return to my home and close the door. To begin crafting my new novel. From the first sentence to the last, a world wholly my own. Alyson Richman is the internationally bestselling novel of five historical novels and her work has been translated into eighteen languages. Her novel, “The Lost Wife” is now in development to be a major motion film. 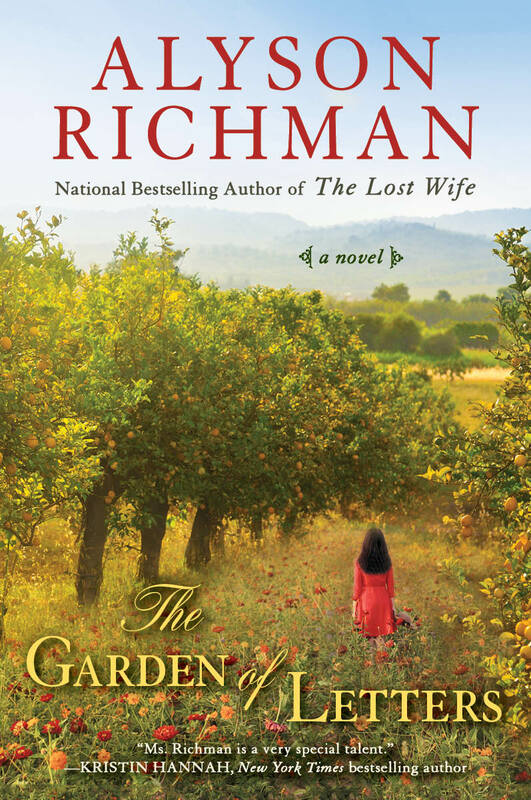 Her latest novel, “The Garden of Letters” was just published in September 2014. Alyson, congratulations on your books. This post was a wonderful reminder to all of us struggling to write that there is joy in turning off the noise, and in the process of writing, no matter what happens with our manuscripts after that. It is that process that nurtures us and enriches our lives as artists. Thank you for your lovely message. I’m so happy the post resonated with you and that you’re looking forward to writing and being home in the not-so-distant future. Excellent reminder of what appreciating the quiet times and taking time to enjoy your work. Congrats on all your books and success. I relate to every word of that, Alyson. Beautifully said! So glad I finally got to meet you in person last month.